Further works are slated for Dennis Street, Sophia, between ‘A’ Field and Eastern Highway. According to a Ministry of Public Infrastructure press release, this stretch of road recently underwent rehabilitation works that saw the completion of approximately 300 metres of timber revetment along Dennis Street, Sophia. This construction included the installation of steel tie-rods and “dead man” structures. Works were completed on April 14. A second phase of works involving the application of a prime coat which would effectively seal the road and prevent water penetration was scheduled to begin approximately a week after the rehabilitation works were completed, the release stated. However, due to bad weather shortly after the works were completed, contractors were unable to apply this coat, thus leading to water lodging on the road. 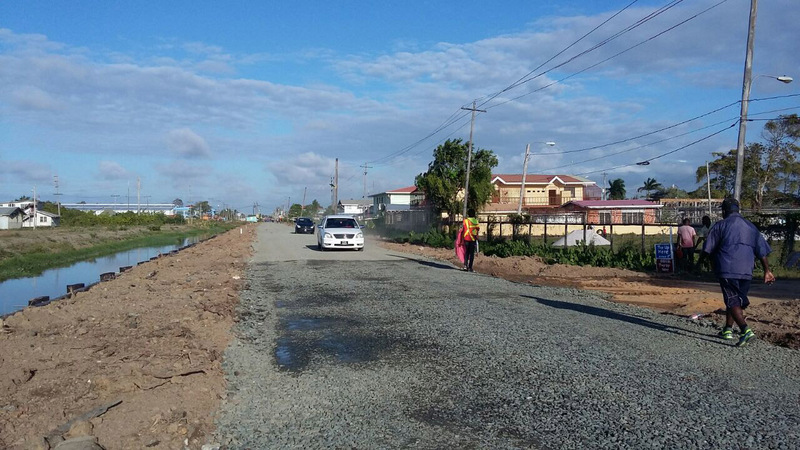 According to the press release, remedial works including grading, deep patching and scarifying of the stretch of road are currently being undertaken to address the situation. The other phases of this project will include the filling of depressions, shaping of the parapets, scarifying and resurfacing of the entire Dennis Street, the release said.